1. The posts carry usual allowances as admissible to Central Government employees of similar status and other allowances sanctioned in AIIMS, Patna. 2. The qualification/eligibility prescribed is minimum requirement and the some does not automatically make candidate eligible for selection. Based on bio-data, the candidates will be shortlisted and only shortlisted candidates will be called for interview. Application of eligible officers who can be spared in the event of the selection may be forwarded through proper channel to the undersigned at the address given above within 45 days of publication of this advertisement in the employment News along with (a) attested copies of the up-to-date APARs for last five (05) years; (b) Vigilance Clearance Certificate clearly indicating that no disciplinary or criminal proceedings are either pending or contemplated against the officer concerned; (c) Statement showing the minor/major penalties imposed, if any, and (d) Integrity Certificate (e) NOC. The candidates have to produce all relevant original documents as proof of details furnished in their application at the time of interview. Application received not through proper channel will not be considered for interview. 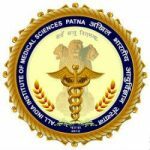 Manager/ Supervisor/ Gas Officer Vacancy – Last Date 05 March 2019 (Patna, Bihar), All India Institute of Medical Sciences, Patna (AIIMS Patna) recruits Manager/ Supervisor/ Gas Officer Posts. Candidate with Official holding analogous post experienced can apply. AIIMS Patna is the vision of the Hon’ble Prime minister Shri Atal Bihari Vajpayee who decided to give to the nation six regional AIIMS with the mandate to provide the most modern healthcare to the last man in the queue at affordable cost. Also, AIIMS Patna was created by the ordinance dated 16 July, 2012 and then the Act (Amendment), 2012 on 2nd July, 2013.The work started in 2010 with construction in six packages by the Project Monitoring Unit of the MoHFW under six packages and is referred to as AIIMS project.